Direct from Europe The Christmas Circus is here! La Fiesta Escenica’s energy shines in all its splendor, exuding surrealistic images and musical harmony. 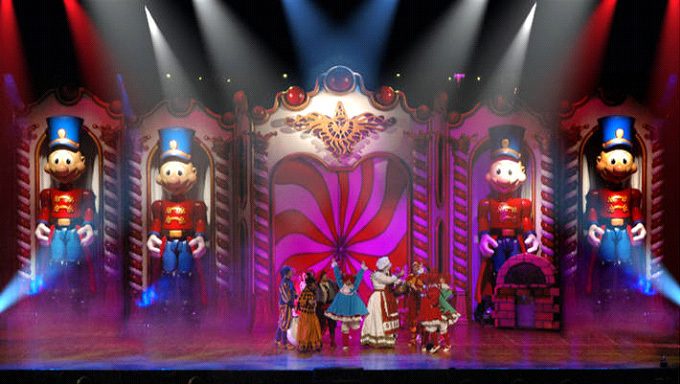 The spectacle includes world reknown acts with animatronic polar bears, animatronic camels and other seasonal creatures and characters that give Christmas that special touch. The debut of the animatronics polar bears and camels all across America is a unique attraction. 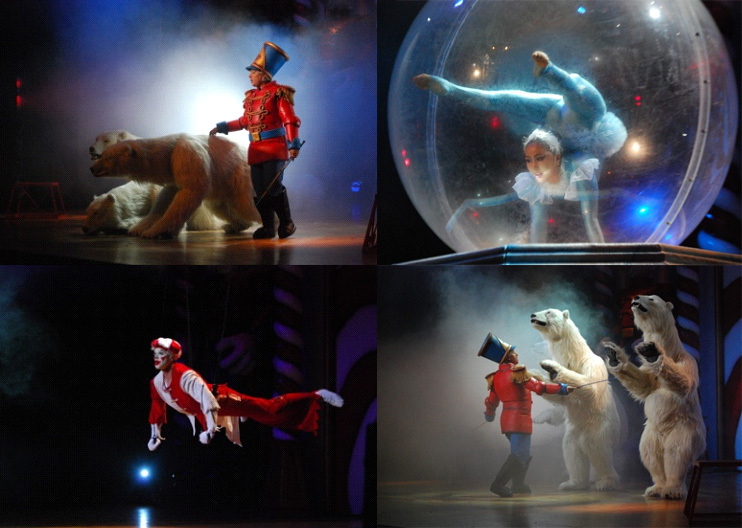 The Innovative experience of creating animatronics animals for the circus rings and stage has already received international recognition after their recent debut in Germany. World famous artists come from Canada, Brazil, Russia, Germany and Italy, plus a number of local performers may get a chance to be a special guest in the show. La Fiesta Escenica has four productions that could play theatres or under tents in the US.